At £500, we expect a decent build quality, and the FE 50mm f/2.8 Macro doesn’t disappoint. It has a solid metal body and mount, but it measures just 70.8x71mm in size and weighs only 236g. 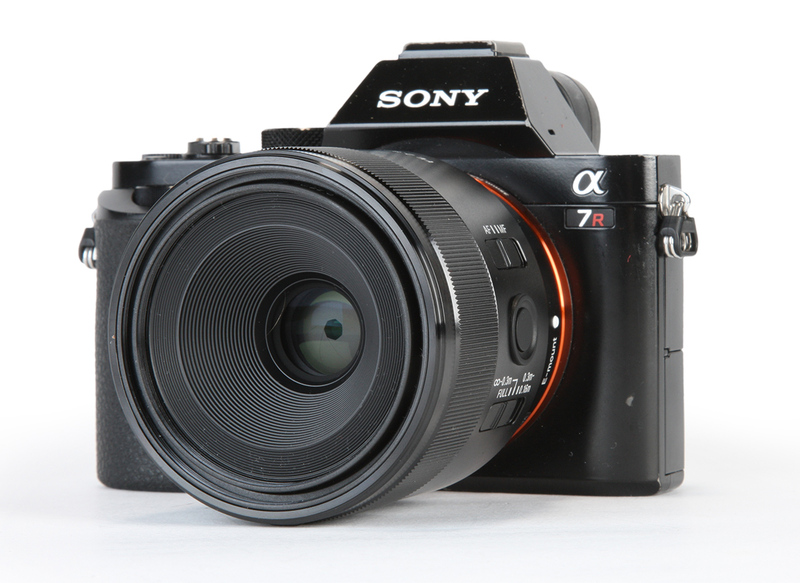 It combines well with the Alpha 7-series cameras, and feels pleasingly in scale with the camera. There are a few controls on the lens itself, namely an AF/MF switch, a focus limiter and what looks like an AF on button, but is actually an AF lock button. 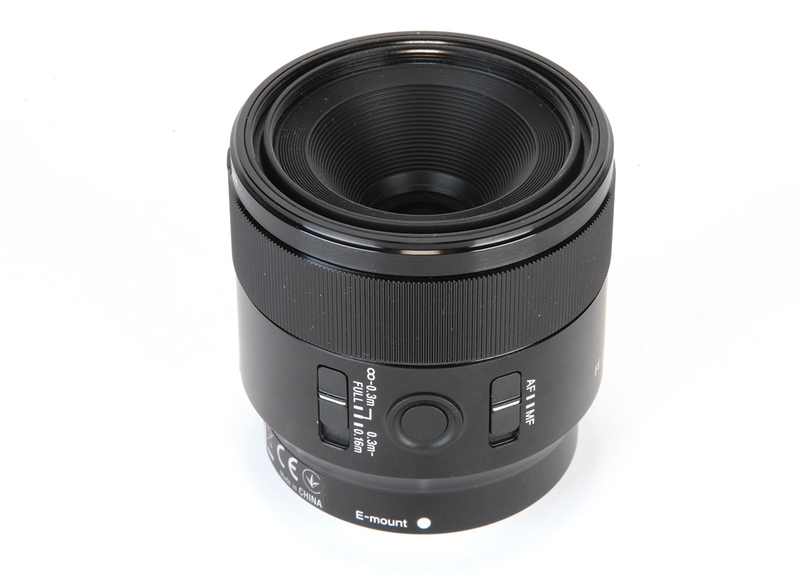 As with all Sony FE lenses, the 50mm f/2.8 Macro lens uses electronic fly-by-wire focusing, with a thinly ribbed manual-focus ring at the end of the lens. Electronic focusing isn’t always the best option when it comes to focusing macro images, but I found that the 50mm f/2.8 didn’t present any difficulty once you have the subject roughly in focus. Manually fine-tuning is easy, especially with 100% magnification. The first thing you notice when using the lens is the noise and pedestrian speed of the AF motor. It suddenly sounds like you’re stepping back a decade in terms of technology. There are no silent piezo electric stepping motors here, just good old-fashioned motors that whirr away steadily and methodically to get your subject in accurate focus. Unlike most modern macro lenses, the FE 50mm f/2.8 Macro doesn’t use internal focusing; instead, the lens barrel extends hugely on focusing closer. Not surprisingly, this means autofocus can be rather slow. Autofocusing from around 60cm to infinity on the original Alpha 7R takes just under one second, while from the minimum focusing distance to infinity takes nearer three seconds. It is occasionally prone to hunting at closer distances, as macro lenses often are, but if you wait patiently it does get there. As a general 50mm lens, the focusing is far better. At distances of 1m to infinity it is a lot faster, as it has less work to do in terms of shifting lens elements around. You could just about say that the focus snaps at this range. The focus limiter on the side of the lens has three different settings: Full Range, 30cm to infinity and 16cm to 30cm. The limiter is great if you want to focus beyond 30cm, but for use from 16cm-30cm it doesn’t offer much of an advantage. Shifting the length of this range looking for focus takes around three seconds. This means it doesn’t cut down on the time it takes to focus. It almost needs a fourth setting of, say, 16cm-20cm, which would help significantly when you know you are shooting at the minimum range of the lens. Generally, I found when working at shorter distances it was best to pre-focus, use focus lock, or focus manually. I often wonder how useful 50mm macro lenses actually are. In the confines of a studio, or with relatively static subjects, they are great lenses. The simple optical design means there is virtually no distortion and they are usually extremely sharp. However, for shooting insects, which for many is what macro is all about, 50mm can be an odd focal length. At the minimum focus distance the lens will be very close to the subject and it can be a real challenge not to scare insects off. That said, the lenses are generally more affordable than their 90mm or 105mm equivalents, so they act as a good entry into macro shooting, as well as doubling up as a very nice standard lens.